Whether you’re basking in the hot Spanish sun; sharing tapas with friends at the local bar; partying at one of the many weekly fiestas, or supporting a Spanish soccer league - Spain is a holiday destination worth exploring. The Spanish are colourful, vibrant people, with a love for parties and the good life. Spain is a beautiful mix of sunny coastlines, snow-capped mountains, bustling cities, and diverse cultures. There is no chance of copy and paste in this unique country, with every part of the country offering something new and exciting for visitors, and an opportunity to experience a variety of different activities. The party animal; the foodie; the nature lover; the art enthusiast; the explorer, and the history seeker, are all perfectly at home in this gorgeous country, with something for everyone. Every good traveler should have their travel insurance packed and ready to roll before they set foot into this wonderful country. Compare a few different travel insurance quotes to find the right fit for you and your needs. We have made comparing travel insurance quotes and benefits easy..
Why do I need travel insurance for Spain? Medical reasons: While health risks in Spain are not high, there is always a chance of something going wrong when you are traveling to a different country. Medical facilities in Spain are of a really high standard, but costly; and this isn’t something you want to pay for if you have a medical emergency. Your travel insurance should cover most of the medical costs involved if you are in an accident, find out you are pregnant in Spain, contract food poisoning, or any other medically related scenarios. Lost or delayed luggage: Luggage can go missing at any time when traveling. Your travel insurance will cover you for most of the costs involved in replacing your luggage, or paying for emergency items while you wait for it to arrive. Cancelled or delayed flight: It is not uncommon for a flight to be cancelled or delayed, and while airlines do generally reimburse you or replace your flight in these instances, it’s not always the case. Travel insurance will cover you for most of the costs involved in your flight being cancelled or delayed, along with other prepaid expenses. Vehicle excess: If you choose to rent a vehicle in Spain, your travel insurance should cover the majority of your excess, if you are involved in an accident. Stolen cash or belongings: Petty crimes are rife in Spain, with bag snatching, pickpocketing, and theft from cars a reality. If you are carrying cash and are robbed, your travel insurance should cover the costs involved in replacing your stolen items, together with the value of the cash stolen, depending on the amount. 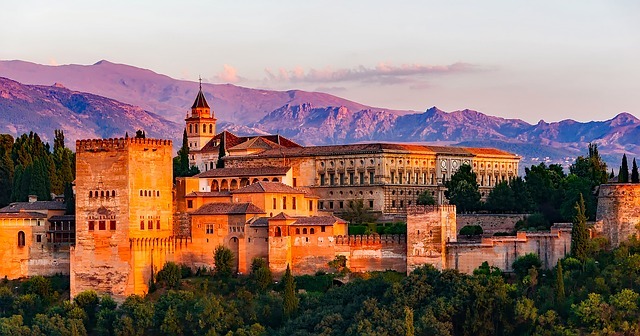 Seniors travel insurance: What better way to celebrate retirement than with an adventure-filled trip to Spain. Go on a guided tour with a group of friends, and take advantage of the discounted senior rates in Spain. From train rides to visiting the museum - Spain offers lots of discounted outings for seniors, so find out what you can take advantage of. Be sure to have your travel insurance firmly in place. You should be aware that travel insurance for seniors does not always offer sufficient cover - particularly when it comes to pre-existing medical conditions. You may be required to pay a higher rate as a senior, or need to add on extra cover, to be sufficiently covered for your trip to Spain. What will my travel insurance not cover in Spain? Unattended belongings: You might be on holiday, but that doesn’t mean that you should be oblivious to your surroundings. If you leave your belongings unattended for a period of time, where they can become an easy target for criminals, your travel insurance might not cover you for the replacement of these items. Always remain vigilant, and keep your valuables close at hand. Reckless behaviour: Partying it up in a foreign country is par for the course and can be lots of fun. But if it leads to reckless behaviour, where you are driving under the influence of alcohol or drugs, or participating in other illegal activities, your travel insurance will not cover you. Driving without a valid license in Spain is also illegal, and you will not be covered for this. You will need a valid Australian drivers license, together with an International Driving Permit (IDP), to be able to drive in Spain. Pre-existing medical conditions: Some pre-existing medical conditions will either not be covered by travel insurance, or will require additional cover for your trip to Spain. Check with your insurer about what you are covered for, and the requirements for traveling to Spain. High-risk activities: Certain high-risk activities, such as paragliding in Madrid, diving in Ibiza, or kitesurfing in Tarifa, might not be covered by travel insurance. You should check with your insurer if you are covered for these kinds of activities, or if additional cover is required. Running of the bulls: This is an annual event in Spain, where people run in front of a group of bulls through the streets of Pamplona, Spain. The people participating in this event, or even watching the event, are in serious danger of being hurt, or even killed, as has happened in the past. Your travel insurance might not cover you for any medical requirements needed if you participate in this event. Check with your insurer beforehand, if you are covered for this event. Be aware of terrorism: Spain is a relatively safe country to travel to, but the threat of terrorism is high in any country. Spain was subject to terrorist attacks in 2017, so security concerns are higher than normal, and traveling to Spain should be done with caution. Avoid areas that are known to be hotspots for terrorism, such as shopping centres, public transport, places of worship, popular tourist attractions, and large gatherings. Follow the news for any signs of terrorism - you can also sign up for travel alerts and updates for Spain through the Department of Foreign Affairs and Trade (DFAT). Watch out for crime: While Spain is one of the safest European countries to visit ¹, there are still crimes that take place, and vigilance is always advised. Petty crimes, such as pickpocketing, bag snatching, and theft from cars, are quite common. Be aware of your surroundings, avoiding dimly-lit areas; drawing cash from ATMs in quiet places; offers of help from random strangers; taking drinks from strangers, and traveling at night. Follow the road laws: Traffic in Spain can be hugely congested at times, and drivers are known to speed and sometimes drive recklessly. Familiarise yourself with the road laws in Spain before you venture out in your rented vehicle. You may be fined if your car is not equipped with two red warning triangles and a reflective jacket, in case of an emergency. Check that the company you hire the vehicle from has provided these items before you take the car. Natural disasters: Spain can experience extreme conditions, such as heavy storms and forest fires. Avoid being caught up in these conditions, by keeping an eye on the news for weather warnings, and avoiding areas where you could possibly be caught up in bad weather or in a fire. Traveling with cash: Make sure that you are extremely cautious when traveling with large sums of cash. Insurers will not always pay back the full amount if cash is stolen from you, so it’s better to avoid that situation altogether. Try to travel with just enough cash for the day, and leave the rest in a securely locked hotel room or safe. Don’t flash your money around, and try to keep it in a pocket or bag that is secure and close to your body. Cultural diversity: It’s always advisable when visiting a foreign country, to show respect to the local cultures. Learn a bit of Spanish if you can, so you can easily communicate with the locals, and research Spanish traditions so that you can try to engage with these traditions.